A locally owned Queensland Company. 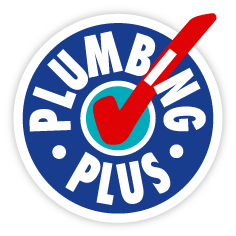 Specialising in Plumbing Supplies for Bathroom Renovations, New Homes, Commercial & Industrial Plumbing needs. K&R Plumbing Supplies Toowoomba supply all forms of plumbing from roof to underground including hot water Systems, Bath Tubs, Sinks, Toilets, Spa Baths, Tapware, Mixer Taps, Basins, Vanity Units, Towel Rails and Accessories, Water Filters, Roofing Iron, Gutter, PVC Pipe and Fittings, Copper Pipe and Fittings, Poly Pipe and Fittings, Rainwater Tanks, Septic Systems, Bidets, Laundry Units and Tubs, Shower Enclosures, Filter Cartridges, Insulation and all forms of Waterwise and Water Conserving products. Delivering throughout Brisbane, Ipswich, Gold Coast, Sunshine Coast, Toowoomba, Dalby, Chinchilla, Roma, Stanthorpe, Warwick, Crowsnest and southeast and southwest Queensland.